PIY (Pay It Yourself) 7-Day Trip Featuring Castles, Cascades, and the Black Forest. 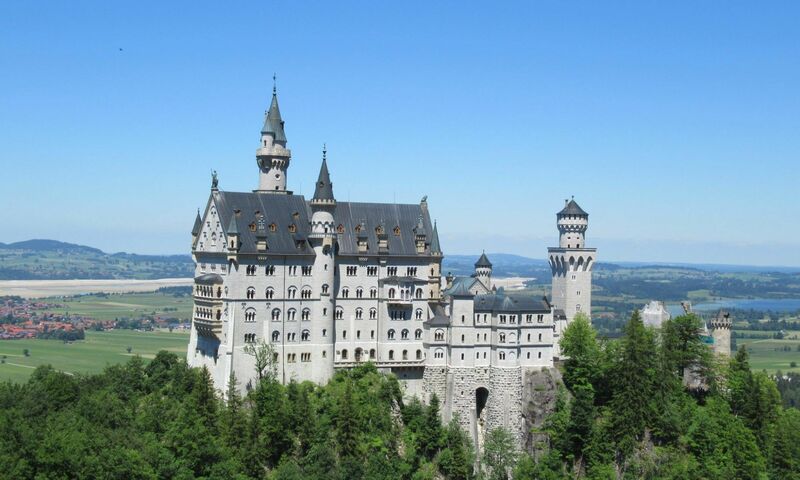 Beginning and ending in Munich, Germany, we will travel through Germany, France, Switzerland, Liechtenstein, and Austria in search of Castles, Fortresses, Palaces, Medieval towns, and some incredible motorcycle riding. This trip is a Pay-It-Yourself trip. That means you save huge money when you purchase your airfare and your motorcycle rental. Enjoy the added benefit of a group rental discount with a booking code. The price is per motorcycle and is the same whether you are traveling solo or with a partner/passenger. There is a limit of 12 motorcycles per trip. This adventure begins in Munich on May 29th. We will return to Munich a week later on June 6th. -Weeklong Motorcycle Rental (Varies) €825 for a BMW F 750 GS to €1200 for a BMW R 1200 GS Adventure. See Bike-Travel-Service‘s price list. Insurance is included. €500 refundable insurance deductible deposit required. This means that for less than $3800 including airfare, you can travel Europe by motorcycle with professional and experienced guides taking you to breathtaking, historic, and wonderous destinations. That’s over $2000 less than the other guys. For answers to your Frequently Asked Questions about this Eurotrip, please go to the Eurotrip FAQ Page.